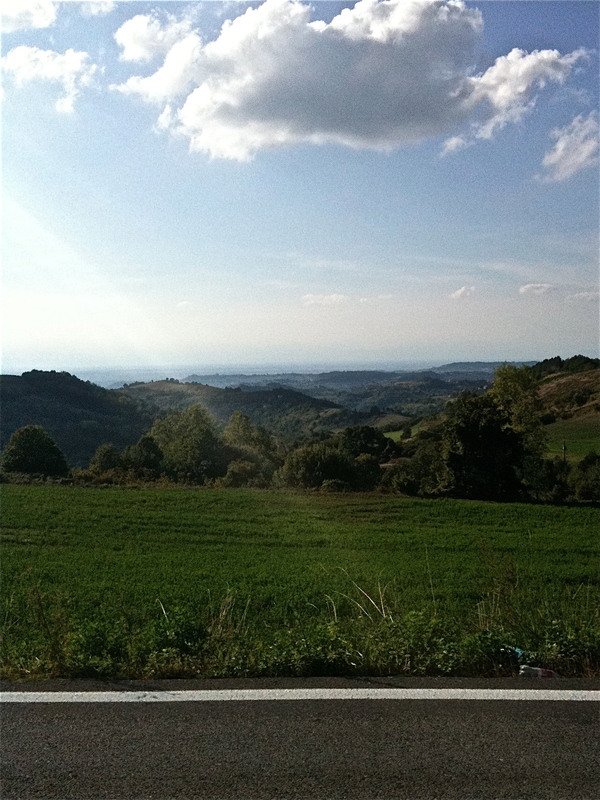 We ventured a bit further afield on our ‘Adventure Day’ this week and into the south-east part of Piemonte (Alessandria Provence). 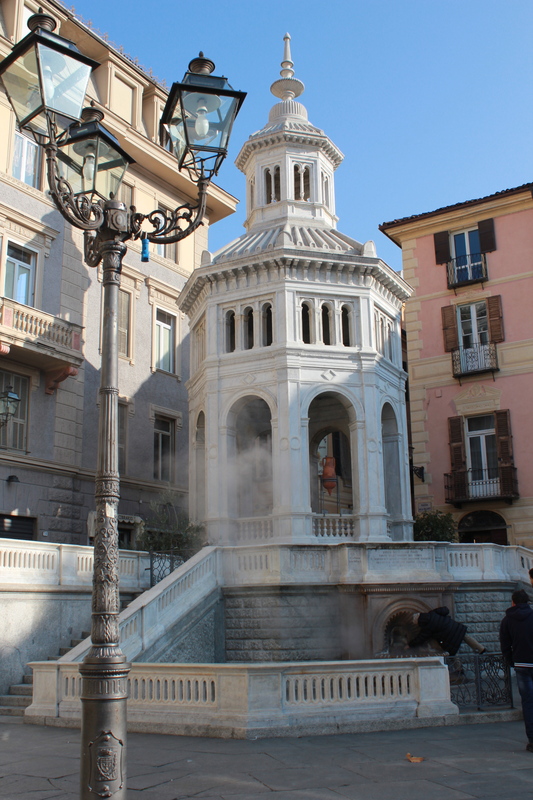 Our plan was to visit the old thermal spa town of Acqui Terme, Novi Ligure and then dabble in the Italian tradition of outlet shopping. I have finally managed to get out onto the local roads and roll the legs over. The weather has been perfect– sunny and warm without the stifling humidity of last week – and putting the summer knicks and jersey on without thermals, boots and gloves was a joy. For those of you that know me, the fact that it has taken me this long may be puzzling. However, the practical realities of waiting for the bike to arrive, getting ourselves in order and then finding the right time to introduce myself to the local roads has meant after a week and a half I have managed to get out. (For those of you that know me very well, the fact that Monforte is a hill top town with a reasonable descent to get anywhere – taking my time will not surprise you in the slightest!). I went with JL, one of the local Australians who knows the area very well and we rode a 30km loop out into the Alta Langhe. 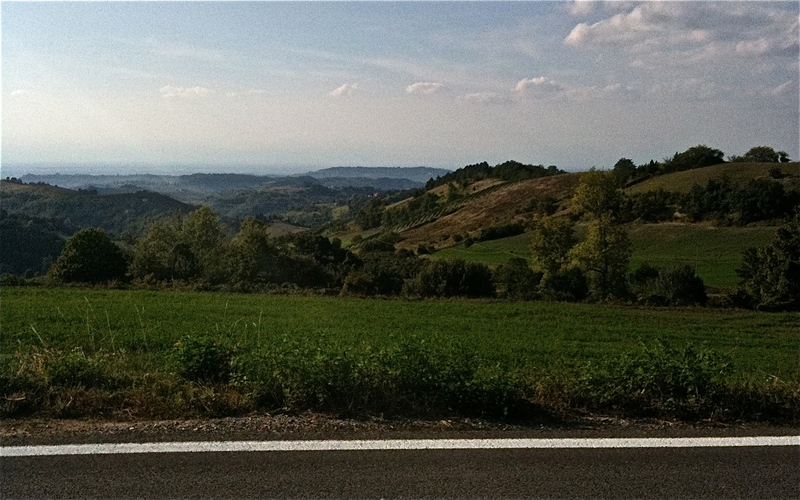 From Monforte, we rode down a stunning descent with sweeping bends between the vines and some pretty impressive views down into the valleys. 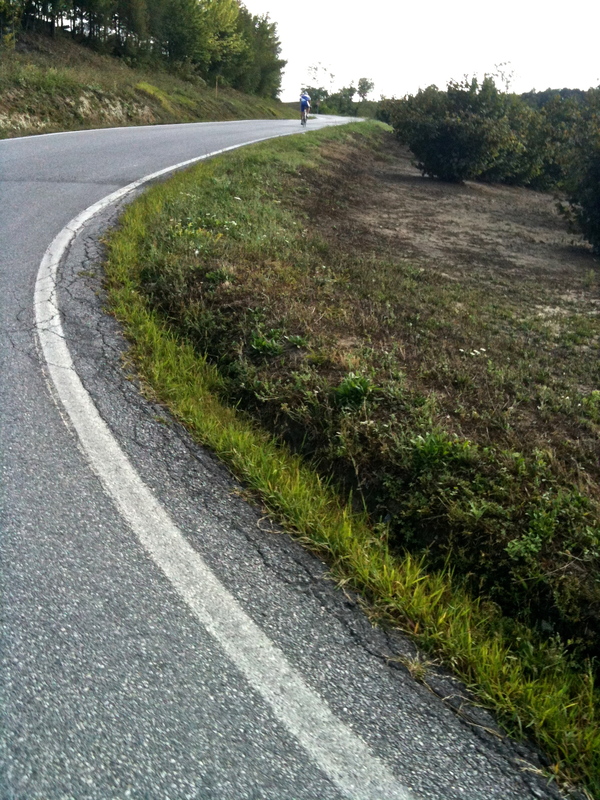 Then, paraphrasing Newton’s first law of bike riding (that each descent is followed by an equally long but nastier climb), this was followed by a solid climb back up out of the Dogliani valley to Bossolasco (the town is as charming as its name) and a rolling run home. We did stop for a refill at the top – in a very civilised and Italian way, each town has a public drinking fountain and the one in Bossolasco is renowned for its water. The afternoon was perfect for riding and each bend would open up a view that was more spectacular than the last. 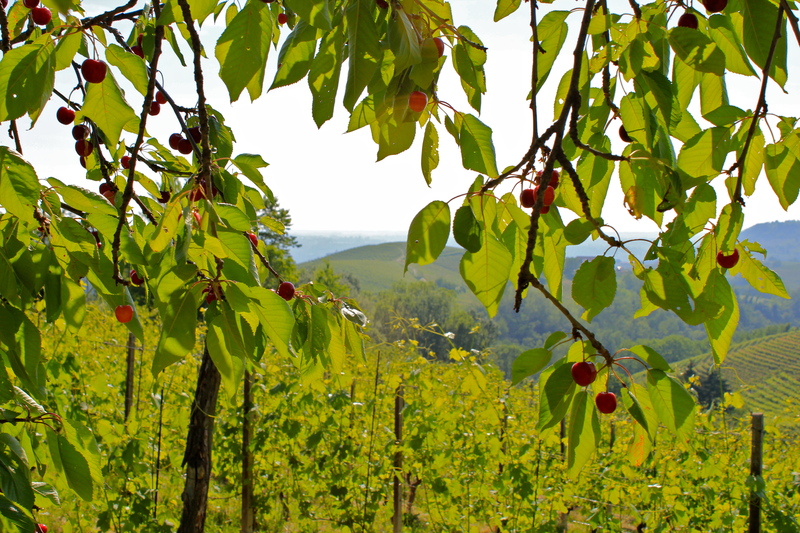 As you ride through the area at the moment, the roadside scenery alternates between the ordered rows of vineyards in the middle of vintage; to hazelnut groves that have just completed their harvest; to pretty little villages, each of which you want to stop and explore (particularly as the hills get steeper). All of this is interspersed by full summer meadows and capped by the grandeur of the semi-circular ring of Alps on the horizon. My apologies for the quality of the photos – they were taken on the iphone as I rode along. Whilst the equipment was limited, I suspect the pounding of my heart in my ears didn’t do much to steady my hand. Riding with this on your right shoulder is hard to take! It was a brilliant intro to riding in these hills and it was great to be back on the bike. The luxury of being able to do something that I really love in such a brilliant location is taking some getting used to!